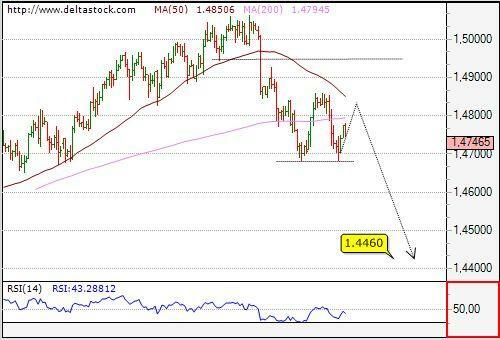 The pair is still in the consolidation pattern above 1.4680 and we feel, that this corrective phase is close to its end, so expect a break below 1.4680 to trigger a sell-off towards 1.4593, en route to 1.4450. 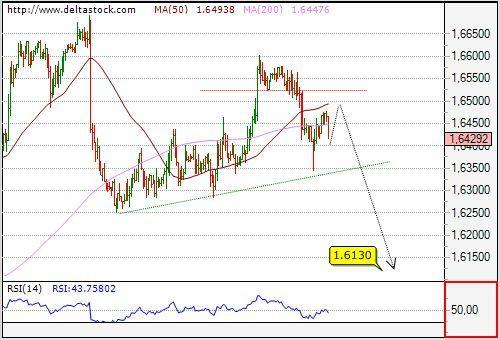 Intraday crucial level comes at 1.4806, followed by the dynamic resistance at 1.4840. 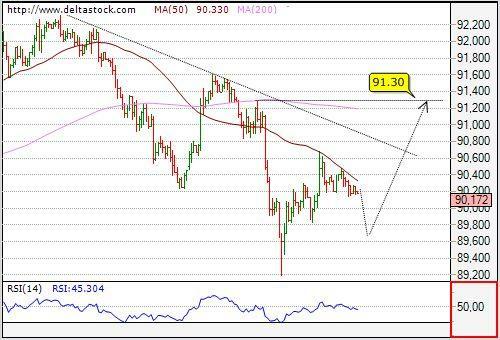 Yesterday's minor support at 89.83 provoked a rise towards our target at 90.80 and the pair peaked at 90.70. Current bias is negative below 90.14 support, towards 89.53. On the larger frames it looks like the focus is still set on 91.30 resistance, but a break above 90.30 is needed to confirm such an outlook.